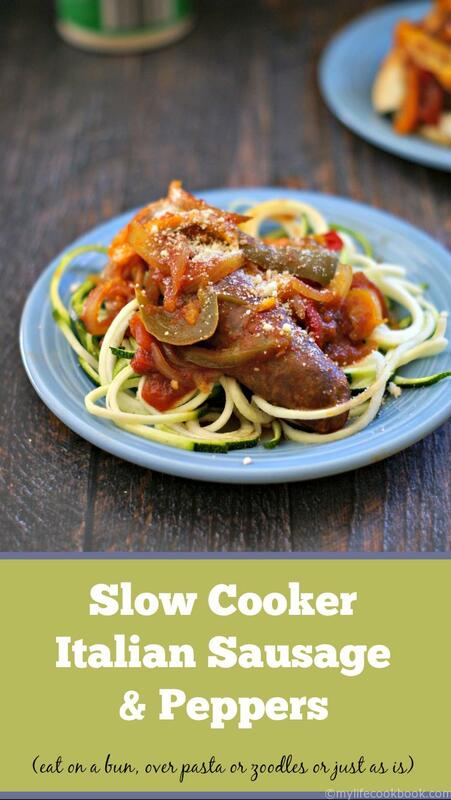 Slow cooker Italian sausage and peppers is an easy and versatile dish. Eat it on a bun or over pasta. Or for lower carbs eat as is or over zucchini noodles. 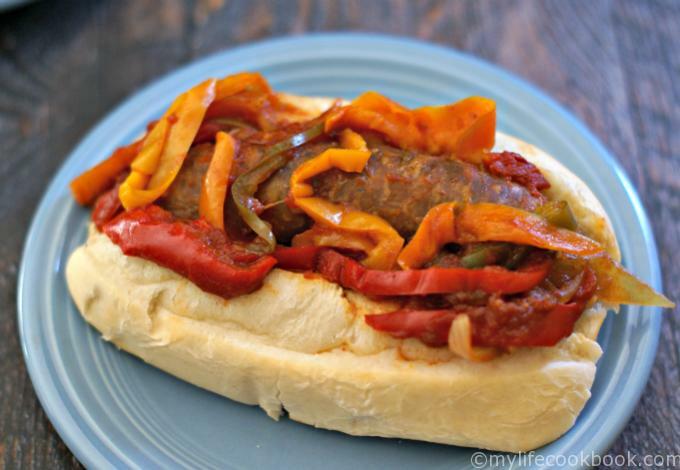 My hubby loves my slow cooker Italian sausage and peppers. We seem to eat it a lot in the fall and winter because it’s a nice warming meal but also because of football season. It’s just football food to us. Well we hadn’t had it for awhile and it looked like the Steelers were going to all the way (we can’t talk about that now) so I made a big batch for dinner one night. I made a big batch because this is a good dish to freeze if you have extra. Unfortunately we didn’t have any extra. We both had leftovers for lunch and that was that. It’s a really easy and very delicious dish. I like to eat it over zucchini noodles like you see above, but my hubby likes it on a big hoagie bun. It’s also very good with pasta. So you see it’s versatile, easy, delicious and you can freeze it. Now you see why we eat this a lot. There are only a few ingredients in this dish: Italian sausage, onions, garlic, peppers and crushed tomatoes. I like to use sweet bell peppers but we used to use only green peppers. Either way I would suggest using a bit of green pepper. My Italian brother in law told me one of the secrets to good sauce is using a bit of green pepper. I have to agree with him, it does add something. So here I used a bit of green, red, orange and yellow. Just put it all in your slow cooker and cook all day. When it’s done (and you will smell that delicious aroma all through your house) you are ready to eat. 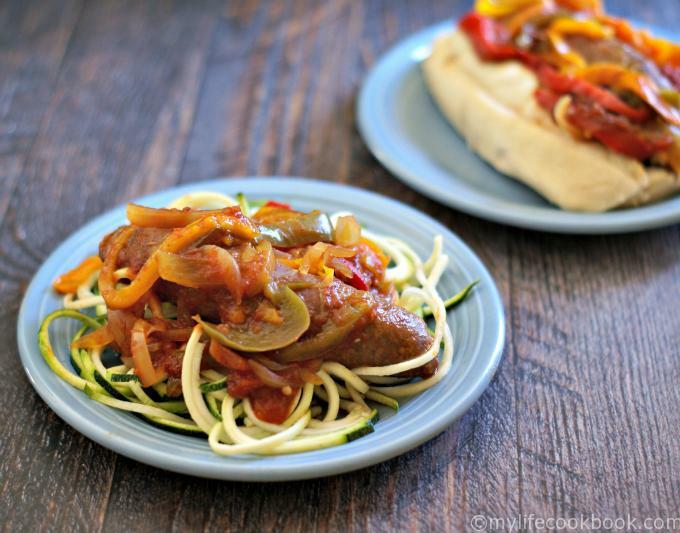 Get a few hoagie buns, boil some pasta or make your zucchini noodles and serve dinner. It also tastes great just as it is for a lower carb or Paleo dinner. That’s how hubby and I ate it for lunch the next day. So if you make this, and I really think you should, make sure to make a lot of it. As I mentioned above it freezes great. So when you are in a rush to make dinner you can thaw this and grab a loaf of Italian bread and you are set. I hope you like this one. It’s a family favorite because of the simplicity and because it just tastes so good. Enjoy! 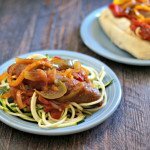 Slow cooker Italian sausage and peppers is an easy and versatile dish. Eat it on a bun or over pasta. 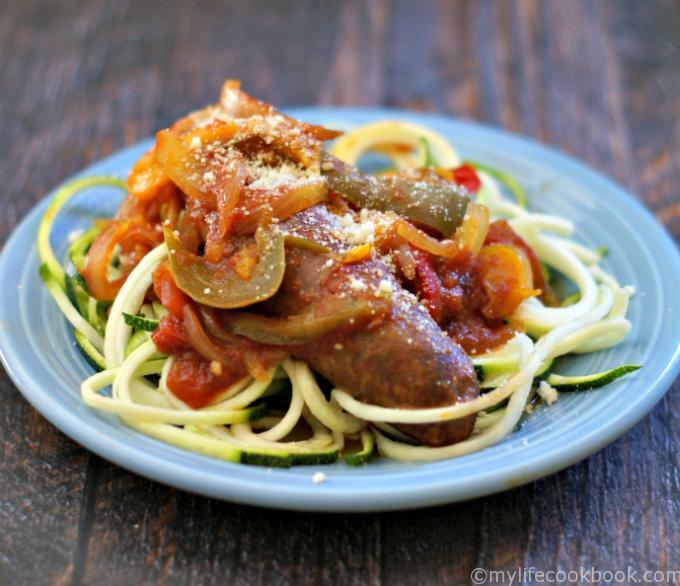 Or for a low carb meal eat as is or over zucchini noodles. 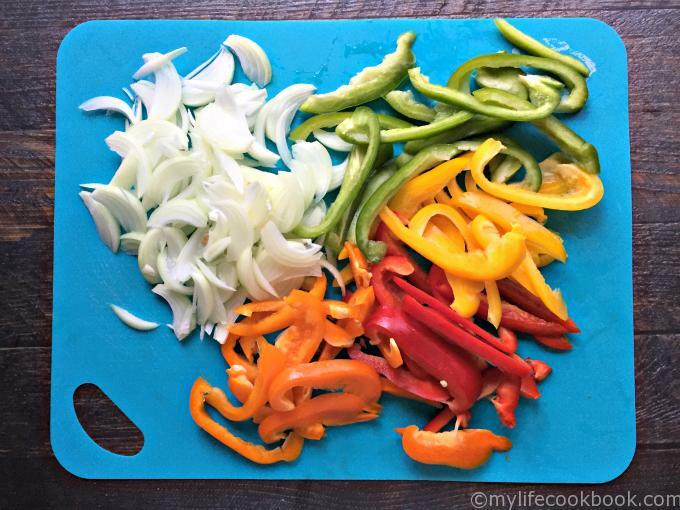 Add all your ingredients to a slow cooker. Mix to incorporate the crushed tomatoes over everything. Cook on low all day or at high temps if you need it quicker. Serve on rolls, pasta or eat as is. We love the Steelers too and we can’t talk about the season either. I’ll need some comfort food for the rest of football season and this looks great! Oh that’s right! I’m glad you are a Steelers fan too. My husband is taking it surprisingly well. Thanks for stopping by Analida! This looks absolutely wonderful, even coming out of the slow cooker. I could just devour this, any way you want to serve it to me. I keep meaning to use my slow cooker that bit more but have always been a little put off by blander dishes I have had from other people using it, but this definitely seems like one I would like. Tasty! The sauce is simple but with the peppers and onions and sausage it gets really good flavor. I hope you like it.